A Touching Customer Story - Shane Co. I absolutely love working for Shane Co. Our jewelry is exquisite and the way we do business makes us a leader in the industry. It is not just our beautiful pieces or the excellent service; it is the customers I have worked with. The people I have met and the stories they have told have made working for Shane Co. a delight! Our customers come from all different walks of life. Some couples met in middle school and have been through high school and college, still together through all that time. Some couples knew each other years ago, and were fortunate enough to meet again later in life to rekindle what they once had. Some couples met by chance, and realized the love they shared almost immediately. No matter what path brought them to Shane Co., I feel pride knowing that I am a part of one of the most important days of their lives. Every customer story is special. I have heard many stories over the past couple years, but one stands out as being extra special and will forever impact how I view life, love, and ultimately, fate. A gentleman came into our store one day looking for an engagement ring. I directed him to our rings and proceeded to begin showing him different styles. As I got to know him a little better, I asked what his girlfriend’s name was and how he had met her. He paused and said, “Well, that’s a rather long story.” I smiled – I had heard this statement before – and asked him to tell me about it. He was originally from Minnesota, and had recently moved back here. He had lived in various locations for work and had been living in California when he decided to make contact with old acquaintances he had lost touch with over the years. 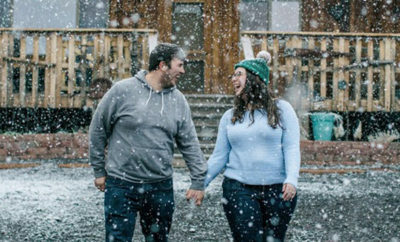 He found an old Minnesota phone number for a past girlfriend and upon calling, discovered that the number now belonged to someone else…his soon-to-be fiancée. Instead of apologizing for a wrong number, he decided to begin a conversation. One thing led to another, and over the course of several days, they soon realized they had a mutual interest in getting to know each other. He was planning a trip back to Minnesota, so they decided to meet in person. When they finally met, they realized they had met before, years ago, but hadn’t had the opportunity to exchange information! The gentleman went on to say that they began dating and the rest was history! I helped the gentleman find his girlfriend the perfect engagement ring. They are now happily engaged, and beginning a life together. His story has remained with me ever since. I am thrilled that I got to be a part of his happy ending. ← Previous Story Congratulations Frank & Alayna! Next Story → Congratulations to Kim and Kris!